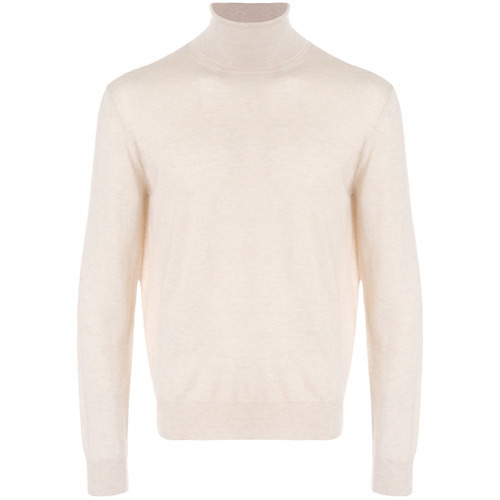 If you're on the lookout for a casual yet seriously stylish ensemble, marry a Canali beige turtleneck with black skinny jeans. 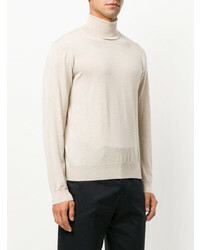 As well as totally comfortable, both of these garments look great together. Wearing a pair of black leather chelsea boots is an easy way to add extra flair to your ensemble. 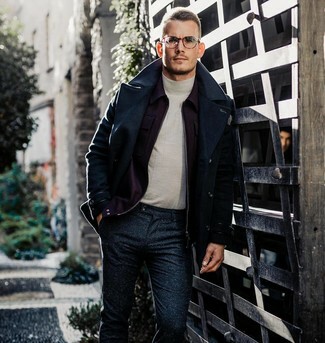 For a nothing less than incredibly stylish ensemble, make a Canali roll neck sweatshirt and charcoal wool dress pants your outfit choice. For something more on the daring side to round off this ensemble, choose a pair of yellow low top sneakers. 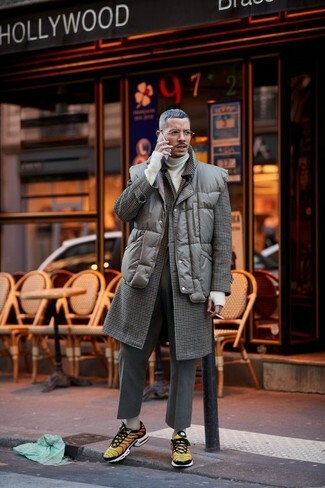 Go for a Canali Roll Neck Sweatshirt and navy wool dress pants for a sleek polished ensemble. 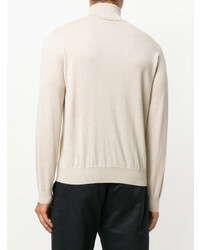 If you're on the hunt for a casual yet seriously stylish getup, wear a Canali Roll Neck Sweatshirt from farfetch.com and black jeans. 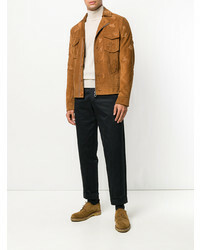 As well as super comfortable, both of these garments look incredible paired together. 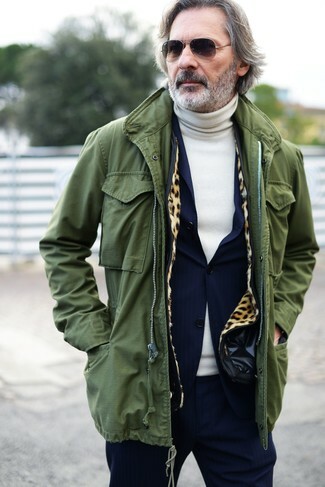 For a smart casual look, rock a beige turtleneck with a grey blazer — these two pieces fit really smart together. 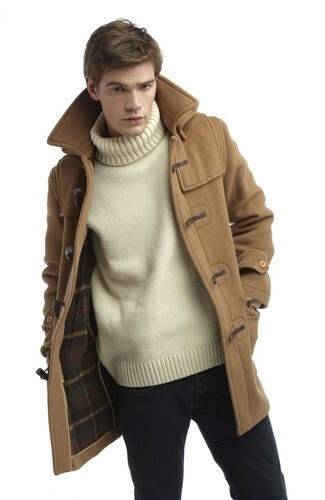 If you're hunting for a casual yet seriously stylish look, wear a Canali Roll Neck Sweatshirt and navy jeans. As well as very comfy, these two items look amazing together. 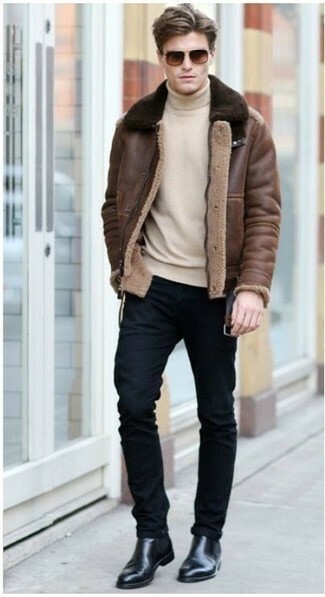 Channel your inner Ryan Gosling and opt for a pair of brown leather tassel loafers to class up your ensemble. 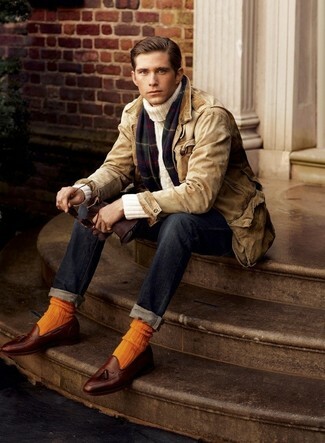 If you're scouting for a casual yet stylish outfit, pair a Canali Roll Neck Sweatshirt with black jeans. As well as super comfortable, these items look great when paired together. 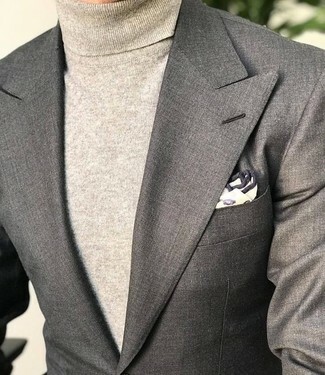 This combination of a beige turtleneck and grey plaid dress pants is super easy to throw together without a second thought, helping you look amazing and ready for anything without spending too much time going through your closet. Tap into some David Gandy dapperness and complete your look with dark brown leather oxford shoes. 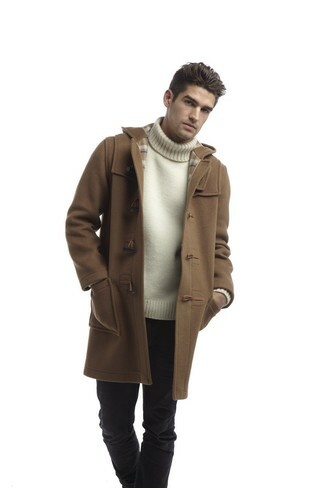 If you're scouting for a casual yet stylish outfit, wear a Canali Roll Neck Sweatshirt from farfetch.com with an olive fishtail parka. As well as super comfortable, both items look amazing when paired together.